Earlier this week I gave a talk on the first British Embassy to China. My talk looked at how historians in the West have viewed the embassy, as well as a short survey of some of the imagery which was created during and after the mission, including a brief look at an exhibition I worked on in Beijing in 2007, which featured some of the original gifts that were given as part of the embassy in 1793. Adapted from my talk, this present blog post will take a look at the embassy, the exhibition, and the theme of 'cross-cultural' exchange. And then my next post will examine the work of William Alexander, an artist who accompanied the embassy, as well as some of the artistic responses to the mission once it had returned to Britain. 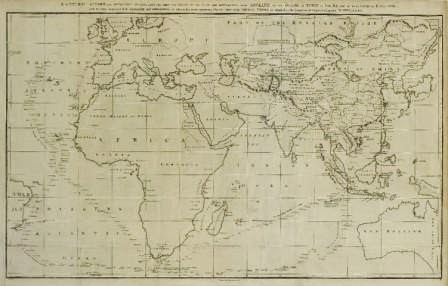 As with the first British mission to Japan 182 years before, the embassy sent to China in 1793, which was led by Lord George Macartney, set out in three ships – the Lion, the Hindostan, and the Jackall (which became lost in heavy weather in the Bay of Biscay, but happily managed to rejoin the group again in the Sunda Straits, near Batavia). The purpose of the mission was to try to open China up to the burgeoning new system of global ‘free-trade’ which was then being forged by the nations of the West. Several European nations had already established trading hongs (warehouses) at the southern Chinese port of Canton (Guangzhou), the only place in China at that time where foreign sea trade was permitted (there was also an inland trading post, officially sanctioned by the Chinese court, at Kiakhta, where Russians came overland to buy and sell goods). 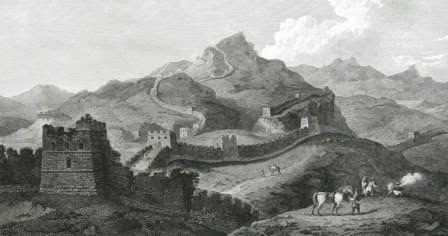 But the British in particular were not content with this single point of exchange, they very much wanted to expand their access and trade network to other parts of the vast Qing Empire. The Qing, on the other hand, were very wary of this and they consistently refused such overtures. Other western nations had already sent diplomatic missions to China, notably the Dutch, the Portuguese, and, of course, the Russians, as already mentioned. ‘The Macartney Embassy’, as it's now more commonly remembered, was the first trade mission which sought to break the mould of those which had gone before; and, as such, it has become a notorious episode, often cited, in the history of East-West relations. The rebuff was not taken lightly, and Macartney’s certainly was not the last British trade mission to China either – another was led by Lord Amherst in 1816 but was refused an audience with the Emperor entirely. As many historians have stated the major point of contention between the two sides was a question of differing cultural perceptions. The British believed in a new world order of sovereign nation-states whose authority was derived from a secular-based system of laws; and so, with the precedent already established in Europe, the British duly presumed to expect that they should deal with other great nations on an equal diplomatic footing – indeed, in their eyes, this was very much the mark of civilised societies. 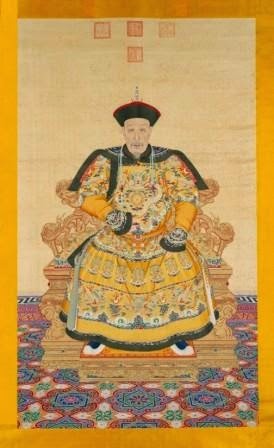 The Chinese world order, however, maintained that China was the centre of civilisation and the Emperor was the ‘Son of Heaven’, therefore all the peoples of the world owed varying degrees of fealty to the Emperor. The Emperor, of course, was a just and benevolent ruler, and as for those distant, outer barbarians (such as the Europeans) who were not fortunate enough to come under the Emperor’s direct rule, it had been decreed that they were permitted to acknowledge the Emperor’s universal supremacy by periodically offering tribute. As such, Qianlong viewed Macartney’s trade embassy as a mission to deliver tribute. 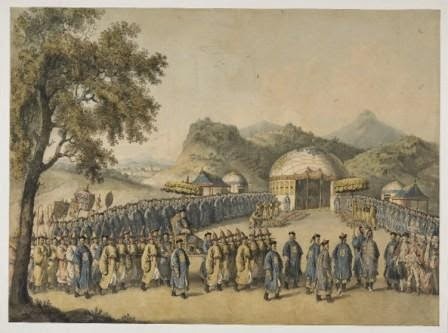 There were certain protocols and ceremonial rituals which needed to be adhered to, naturally – and as the British mission progressed, travelling through China to meet with the Emperor himself, the Qing knowledge network sent back reports to the Manchu Court which seemed to present certain frustrations. It appeared that the British were entirely ignorant of these rituals and so they would need to be guided onto the right path. However, from the British point of view it was these ‘archaic rituals’ and protocols which became the major sticking point. There was one ritual in particular which did not align with their ideals nor their intentions. It became a stubborn point of pride – it was of course the ritual of the kowtow, in which the British envoys were expected to ceremonially prostrate themselves before the Emperor. This, of course, was seen as an acknowledgement of inferiority, and consequently it was something which the British plenipotentiaries simply could not countenance. The Qing were quite rightly baffled – the Dutch, the Portuguese, and the Russians before them did not seem to have had any problems with performing this ritual gesture. 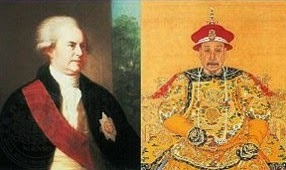 Interestingly enough and perhaps somewhat unexpectedly, after much discussion it seems the Qing did eventually give way – as according to some accounts Lord Macartney simply went down on one knee when he met the Emperor (other accounts state that when finally admitted into the august Son of Heaven’s presence Lord Macartney was naturally overwhelmed by the great Emperor’s majesty and so he instinctively performed the kowtow without any hesitation). 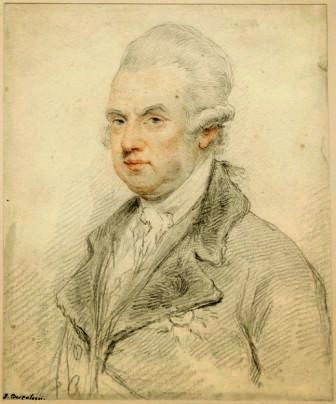 It’s intriguing to note that of all commentators, perhaps one of the most unlikely was Napoleon Bonaparte, who thought that Lord Macartney ought to have complied with the local customs as he believed each sovereignty had the right to dictate how it was to be diplomatically approached on its own soil. 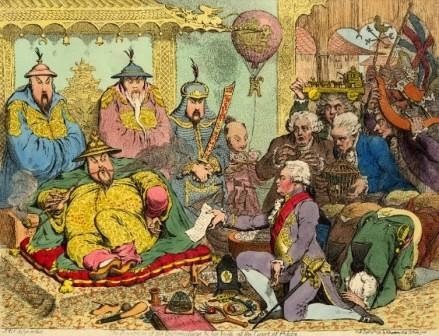 It was later claimed that the Qing’s arrogant insistence regarding its own sense of superiority over all other peoples was a rod which it made for its own back, and that this was the root cause of several subsequent, devastating conflicts with the West, not least the Opium Wars and the ‘gunboat diplomacy’ of the 19th Century. Yet recent historiography has sought to show that this was less of a clash of civilisations, nor the case of a simple cultural misunderstanding being conflated into an immoveable diplomatic obstacle; it was in fact more a case of a deliberate and wilfulmisunderstanding on the part of each party for its own political ends (cf. Hevia). This was ultimately a clash of two imperialist powers with similar colonial mindsets. Thus the British and the Qing actually had a lot more in common with one another than either of them openly cared to acknowledge. In 2007 I was involved with taking an exhibition, entitled ‘Britain Meets the World, 1714-1830’, from the British Museum in London to the Palace Museum in Beijing (perhaps better known to many of its visitors as ‘The Forbidden City’). Curated by my colleague, Sheila O’Connell, the exhibition was billed as an ‘examination of how British artists, travellers, scholars, and traders engaged with new cultures through world exploration.’ It focussed on the 18thCentury and the work of collectors and explorers such as Sir Joseph Banks and Captain James Cook, as well as the work of the Royal Society, and men such as James Cox, Josiah Wedgwood, and James Watt. 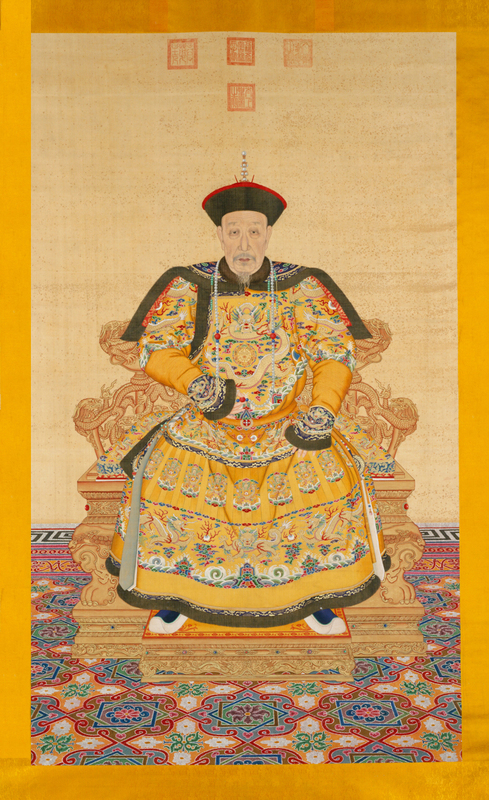 The exhibition also contained a showcase that was filled with some of the original gifts which Macartney gave to Qianlong in 1793 and which are now part of the Palace Museum’s collection. It was fascinating for me working inside the famous ‘Forbidden City.’ I was fortunate enough to spend several weeks there over the course of the year, exploring parts of the palace complex which are off-limits to the public – I even rode a bicycle from one end of the Palace to the other, just as Puyi is famously depicted doing in Bernardo Bertolucci’s 1987 film, ‘The Last Emperor.’Interestingly enough, the exhibition was itself very much all part-and-parcel of the modern ‘cultural diplomacy’ which is increasingly taking place today. The exhibition was a direct result of the first ever cultural agreement between the UK and China, which was signed in the presence of the then Prime Minister Tony Blair and Premier Wen Jiabao in 2005. At the time, reporting on the opening of ‘Britain Meets the World’, The China Daily newspaper stated that: “Cultural cooperation and exchange are as vital as any other relationship between cultures … the more we understand each other the less we will clash. This is truly the message of culture.” Evidently Lord Macartney’s gifts are still serving a quasi-‘diplomatic role’ some 200 years after they were first given to China; hopefully remembering them and thinking about such historic encounters will indeed help to shape a better and less confrontational future … but then again, as the recent misunderstanding of cultural symbols evidenced in the wearing of Remembrance Day poppies during David Cameron's 2010 trade mission to China reminds us, diplomacy remains - even today - the most delicate and nuanced of arts.